At Gellerman Orthodontics, we work hard to make your journey to a Spectacular Smile memorable and fun!! Located conveniently in Huntington, Long Island, New York, we promise to provide you with the best care and results possible, without cutting any corners. We are always available to our patients. We are open early mornings, late evenings, Saturdays and even on select holidays. We are committed to constantly improving our skills – doctor and office staff – we stay at the forefront of orthodontics through continuous learning. We don't cut corners! 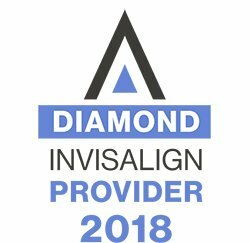 We combine advanced technology including Invisalign, SureSmile, and Acceledent, to ensure that our patients get best possible aesthetics results. Over the years we have inspired many young adults to pursue career in dentistry and engineering. Many high school students rotate thru our clinic during their externship. Dr. Gellerman gives lectures to local middle and high school students on career choice. Dr. Inna Gellerman believes in giving back to the local community. We offer a FREE Mouth Guard Program for your child and their sport team to prevent dental and/or sport injuries. We want to ensure that you retain your spectacular smile for years to come. That's why we started Lifetime Retainer and Guaranteed My Smile programs. We are always generous to the local community and to the people who live and work on Long Island. We offer Family Discounts and local Employer Program discounts. Our Initial Exam is FREE, including FREE digital records to clarify orthodontic problems. And if you've heard too many contradicting opinions, come in for a 2nd Opinion – it's always FREE at Gellerman Orthodontics. Our goal is to make your journey to a spectacular smile affordable. That's why we offer flexible, Interest–Free Financing Plans. And we bill directly to your insurance providers when applicable. In caring for our patients, we are committed to following and exceeding all accepted guidelines for infection control to assure safety of our patients and staff. We care about your dental and overall health. Our Patient Rewards Incentive Program encourages our patients to develop the best braces and dental habits. We love it when we see our patients grow, start families, and come back with their kids. We hope that our office feels like home to you! Our fun environment and friendly team put everyone at ease! Answer a few quick questions and see whether you are a candidate.